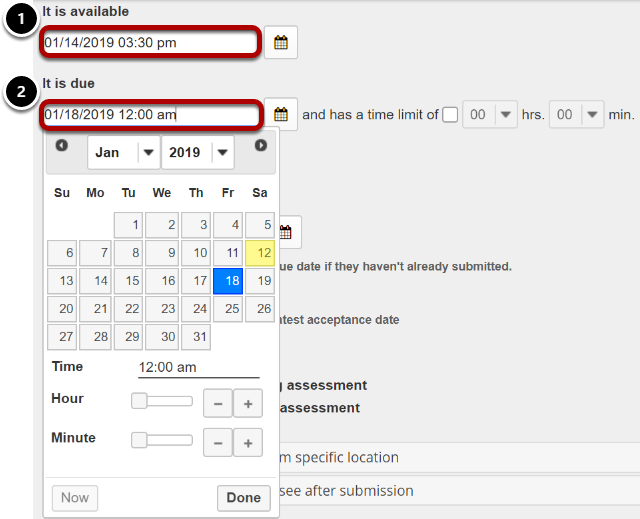 Sakai Community DocumentationSakai 19 User Guide (English) Tests and QuizzesWhat are the Availability and Submissions options for an assessment? 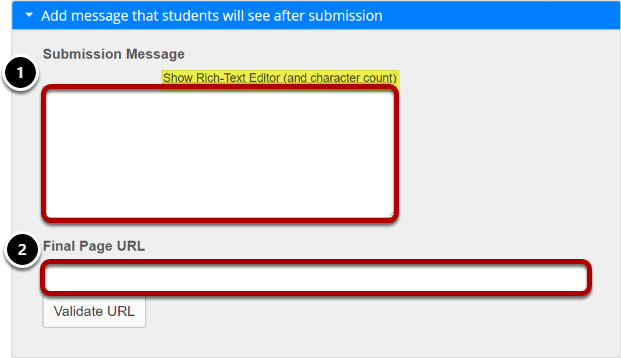 You may also specify a Secondary Password for the assessment. 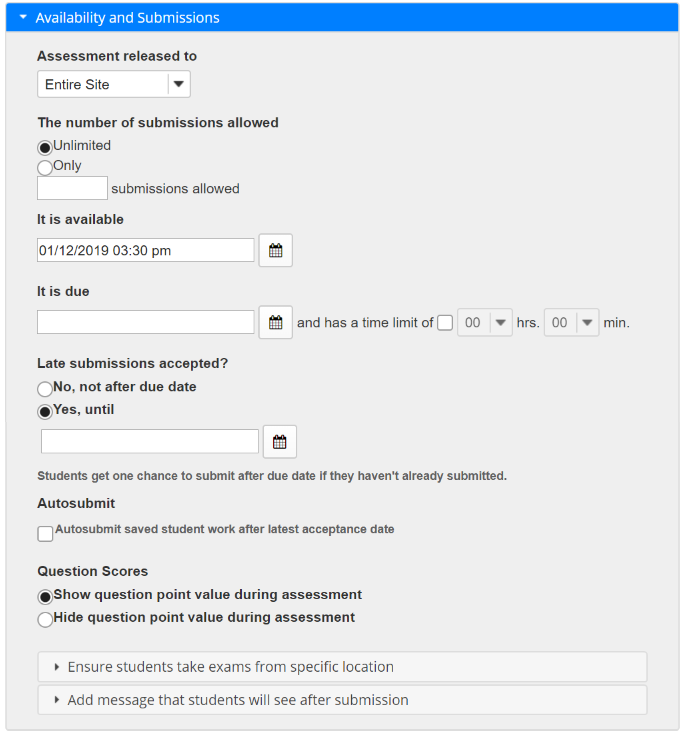 This Assessment Password is typically provided by the instructor in the classroom or testing center, so that students must be present to enter the assessment. 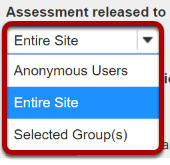 If you want to require use of a locked browser when taking the test, you may select the Respondus LockDown Browser radio button and (optionally) enter an exit password. Your institution must have an existing subscription agreement with Respondus to see this option and provide the browser for your students. The default setting is None.